CELPAD is always progressive in providing its students with interesting language learning environment and LEP Day is one of them. Conducted every semester, LEP Day is one of the most awaited events among students. During this day, they participate in various language games and activities aimed at enhancing their language abilities through reading, writing, listening and speaking. This event combines all the language divisions in CELPAD, namely English, Arabic, Tilawah, Bahasa Melayu and Mandarin, and utilises its surrounding areas. Indirectly, students become culturally responsive in learning languages through games and other activities. 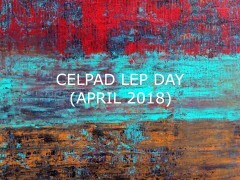 On behalf of CELPAD, we would like to thank those who participated in this meaningful event. See you next semester! Thank you.